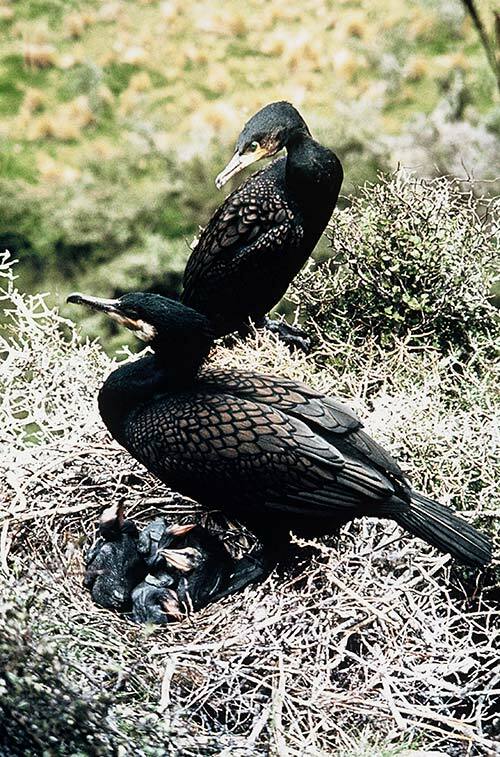 Some shag species build nests on rocky ground or cliff ledges; black shags more often nest in trees or bushes. The colonies are mostly small, with up to 20 nests, and are usually close to water. Both parents feed the chicks. This species is found around New Zealand from sea level to the subalpine zone, and feeds both in lakes and rivers and in sheltered saltwater environments, usually diving for food in water less than 3 metres deep.